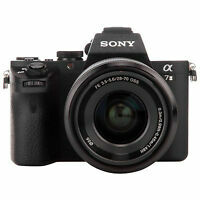 Sony FE 28-70mm f/3.5-5.6 OSS Lens (Black)!! PRO BUNDLE BRAND NEW!! Sony FE 28-70mm f/3.5-5.6 OSS Lens - BRAND NEW!! avc305 has no other items for sale. I don't know what the fuss online about this lens being no good is all about. It has been compared to the similar Zeiss on Dpreview and if you can find that review, take the test and then tell me it's no good then I'll say you don't know what you are talking about. Sharp images throughout range. 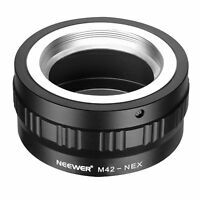 Camera corrects for any distortion that's caused and each end of the lens and although it is all plastic, it does have a good metal mount. Now, when you add the fact that this can be purchase for a third of the cost of the Zeiss,, there is no comparison, for me anyway. Good travel zoom! You must know what lens you want for what type of photos you are going to take. Are you going to print them, then buy a good prime lens.. Going on a trip, this will do just fine for all, or most I should say, of your needs. I have had this lens for about two years and I am happy with it. It originally came as a kit lens with my Sony A7ll. Having had kit lenses with other cameras I really did not expect it to be all that great. After using this lens for six months it occured to me I was getting really sharp photos with very little distortion. I have seen some people knock this lens on you-tube. I believe they are either trying to sound more knowledgeable than they are or they have not really taken an objective look at the photos this lens produces. I now use this lens on my A7lll camera and it works even better on this camera. If you check Dxomark's lens evaluations you will see it rated pretty high. It isn't going to be as good as a 2000 dollar prime lens but as an all around zoom lens it is very good. IT IS ALSO VERY INEXPENSIVE! Your really can't go wrong with this lens!